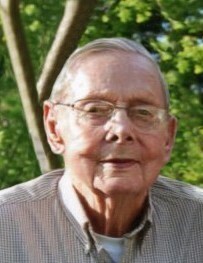 Obituary for Herman H. Franke | Langeland Family Funeral Homes, Inc.
Herman H. Franke went home to be with his Lord on February 5, 2019 at the age of 87. Herm was born March 1, 1931, in Kalamazoo, the son of Herman and Bertha (Meninga) Franke. He was a lifelong area resident and served in the U.S. Army during the Korean War from 1951-53. For over 50 years, Herm worked as an electrician with Walters Electric and later with VanDam & Kruisinga. He was a former member of the Portage Reformed Church where he had served as a deacon and currently a member of the Covenant United Reformed Church where he had served as an elder. Family was a very important part of Herm's life. On September 24, 1954, he was united in marriage to Janet (Bouma) Franke, who survives. Also surviving are their three daughters and spouses, Lynn (Jeff) Osterhouse, Barb (Bob) Razenberg, Cheryl (Ty) VerMeulen; grandchildren, Andrea (Chris) Blodgett, Kelli (Joshua) Douglas, Brandon (Ariel) Osterhouse, Zachery (Megan) Razenberg, McKena Razenberg, Tara Razenberg, Tyler (Aubry) VerMeulen, Samuel (Hanna) VerMeulen, Jacob VerMeulen; great-grandchildren Addison, Alexis & Andrew Blodgett, Jordyn & Jackson Douglas, and Baby VerMeulen arriving in July 2019; in-laws, Mary Franke, Dorothy (John) Balkema, Beverly (Paul) Mepyans, Mick Bouma; nieces and nephews.